The apostolic council is responsible for the overall vision, direction and focus of HeartLink Network while providing oversight for congregational senior pastors and local elders within the network. The apostolic council is led by the network overseer and appointed apostolic council members. Pastor Greg Mayo joined Cornerstone Church and Ministries International in 1991 after returning from the mission field. He was appointed to the role of Senior Pastor of Cornerstone Church of Augusta (Staunton, VA), a new church plant, in 1992 and continues in that role today. He was appointed as Overseer of HeartLink Network in June 2011. 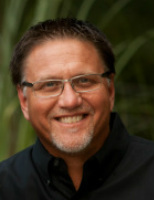 Pastor Marty Smyser serves as Senior Pastor of Cornerstone Church of Marion (Palmyra, MO). Ken Gonyer has been a member of Cornerstone Church of Broadway (Broadway, VA) since 1991 where he has been involved in a variety of ministry and leadership roles, including preaching, teaching and small groups. Ken is a graduate of the HeartLink Network Pastoral Training System. He also serves as the CEO of Choice Books. 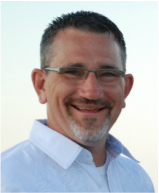 Kenny West is a member of Cornerstone Church of Broadway where he serves in the areas of preaching and teaching. He is currently enrolled in the Theological Track of HeartLink Network Pastoral Training System. Kenny works in the technology department for Rockingham County Public Schools. Pastor Steve Rose has been a member of Cornerstone Church of Augusta (Staunton, VA) since 1995. He is a graduate of the HeartLink Network Pastoral Training System. Steve serves in a part-time pastoral role at Cornerstone Church of Augusta staff with a focus in Transformational Ministry. He also works full-time in the pharmaceutical business. ﻿Michele Morgan serves as a worship leader at Cornerstone Church at the Lake and teaches music and drama at Cornerstone Christian School in Harrisonburg, VA. We are delighted to have her coaching and resourcing worship leaders throughout the HeartLink Network. Stan Horst has been serving Heartlink for many years as the financial administrator. He was a member of Cornerstone Church of Augusta before moving to Blountstown, FL where he attends Rivertown Community Church. HeartLink is a proud member of ACNI, an association of church networks who mutually encourage and support one another.